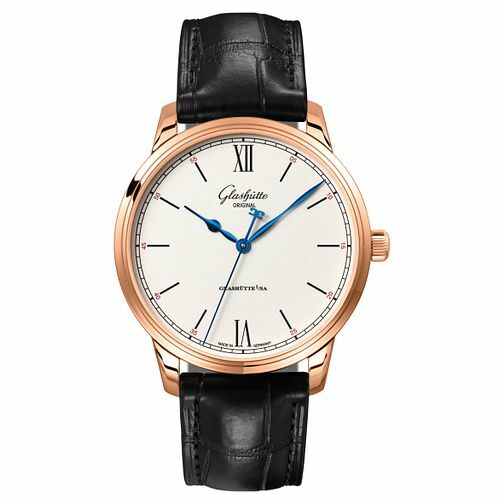 Made for the peerless professional, this timepiece from Glashutte Senator collection exudes classic sensibilities of design, blended with modern sophistication. Housed in an 18ct Rose Gold case, large classic numerals are surrounded with five second increments around the circumference of the dial to measure time precisely. The lumniescent indices allow you to see in the dark, and the watch is finished with a black stitched strap for stylish and comfortable wearing. Made with the highest standards of German watchmaking.